Shadow saves mariaCUTE!. . Wallpaper and background images in the Shadow The Hedgehog club tagged: shadow the hedgehog. KISS MARIA ONE LAST TIME SHADOW. AWWW.... WHY DIDNT SEGA MAKE SHADOW SAVE MARIA, REST IN PEACE MARIA!!! AWWWW KILL HIM SHADOW KILL THEM ALL!! awww... poor Maria.... Shes a nice girl but y dose shadow want to die for her? 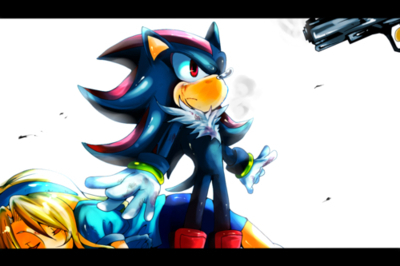 Shadow's like, "Come at me bro"
protect her shadow!!! she needs u.
OMG GUYS!!!!! I KNOW SHADOW LOVES MIREA BUT WASNT SHE DEAD BY THE TIME SHADS GOT TO EARTH?!? !